Perfect companion for any video, audio, music, audio-visual, sound, camera or lighting technician who may need to replace a cable in a hurry. For your convenience, these swivel hooks attach to any belt loop or tool belt to keep up to two extra cables right on your hip. 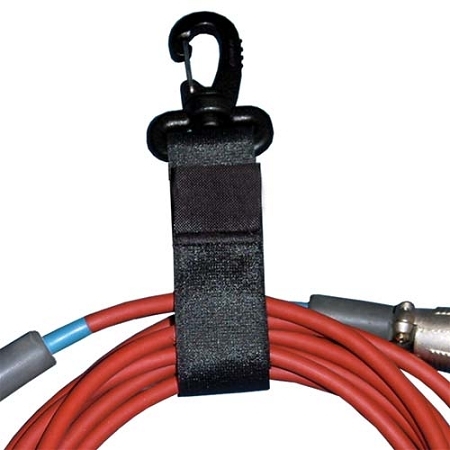 Cable carriers can also be used as a temporary hanger for cable runs during events. Made of high-grade, durable hook-and-loop material, these cable hooks will last for 10,000 re-fastenings. 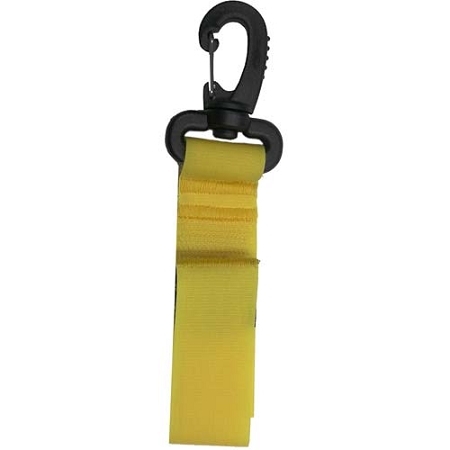 Incorporated in these nylon cable carriers are 2-1/6” carabiner swivels for easy mobility and access. Pull tabs make the opening of the cable carrier a simple, one-handed operation.